I was happy with the 150$ bonus, as well as 15 months at 0% financing. However, with my perfect payment history and scores well over 700.. I was still given a small credit line at an interest rate almost as high as my Bestbuy card. My WF Cashwise card is a whopping 10% less interest. This review isn’t helpful at all. It’s a rewards card. The interest rate is going to be high no matter what your credit score is. You’re not saying much with the credit limit either. Small credit line to you may be substantial to someone else. I’d hate to see what you would feel entitled to with a score over 800. You cover over snobbish, as you know this is a rewards card, and they gave you $150. I got $2400 limit, $150 in rewards, don't give a dam what the APR is, as I pay card off every paycheck. I also just got an Amazon credit card, $1200 limit, they gave me $70 in rewards. It's also a Chase card,shows up on my Chase app. The rewards are better on my Amazon credit card issued by chase. The intro apr is great. The cash back rate is also a great perk. But there is supposed to be a 150$ welcome bonus if you spend i think over 500 on it the frist three months. I spent at least over 4000$ in the first three months at didnt a see a dime for the welcome bonus. You should call customer service to find out why. I got this card Jan 23rd 2019. I spent $700. And today i got 15k points which is the $150 bonus. I cant use them until my billing cycle is done. Which is Feb 12th. I will use that to pay what i had left over due to buying birthday gifts for my daughter. So its a win win for me. I dont mind the intrest. 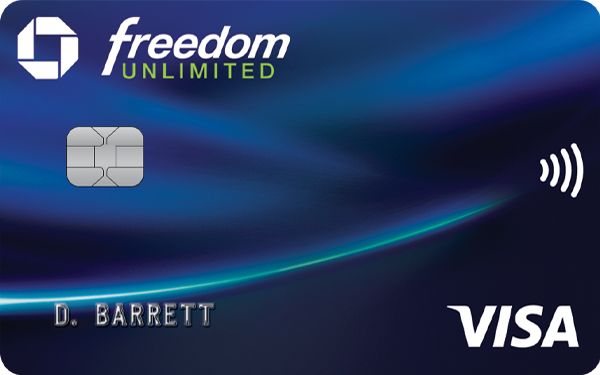 Also did you check to make sure you have the chase freedom unlimited and not the chase freedom. Because the freedom you have to activated quarterly to get the points. Whats your CL ? Your on your way to fail and lose the card if you spent that much on the card in the first month,unless you CL is $40 k Your spending looks risky to to the lenders if you spend that much in a short period of time .. Mine was credited to my account, they didn't send me any notice, I just noticed my reward points they are 19,409. I have spent around $2500 or so on the card, pay it off every week on payday. I had thought they would notify me, but they didn't. How many points do you have? Was good at the start, but got worse. They will lower your limits for no reason. I'm sure there is a reason. One that you won't share or even know about. Yeah I keep my balance low and make payments all the time, they increased my credit limit. You’ll drown in the interest rate if you overextend what you spend. Very good 0% interest rate 18 months. Call reconsideration line and talk to actual credit analyst. I got approved after 2-3weeks of waiting. After I submitted my application online I received letter in mail asking me to send copy of SS card and proof of address so I sent it right away and after 4 days they approved me with 4500 CL. The response citing 30 days or 2 weeks is supposed to be more favorable than the one saying 7 to 10 days. Don't be surprised if you get a letter from Chase's fraud department requesting you call them. If that happens, they will ask you some questions to further verify your identity and as the person above stated, may request that you fax copies of some documents (I had to call them but didn't have to send anything in). After I verified over the phone, my 30 day message changed to 2 weeks on on 2 weeks on the dot, the message changed to approved. Got my card about a week after that. The 30 day response you got is absolutely not unusual and I'd say it's really more rare for Chase to get instant approval. I already had one of their cards (Amazon Rewards) and still had to jump through some hoops to get this one. Just applied and got approved and my score is at 697, only got 1k which is kind of annoying considering i've never had a late payment and I see people with lower scores on here that got approved for more, which is honestly a big reason why I had applied in the first place. will be calling about this soon and won't be changing my rating until I get a good answer for it. How old is your credit history? Its because you may not have very old credit history. I’m not chase customer yet, going to apply! Zero stars ✨ Soon as intro APR is over I am leaving the Chase. They cannot give respect 14% is what my main card is now and they’re gonna give me 21%. Bust it I’m out! Blazing bazinga nuts crazy 21% how can they keep customers!!!? What’s your income? I think that has a big part in limit amount. Why get a rewards card and use it for financing? Get a card without rewards with a lower APR. In other words, don't drive a RV back and forth to work, and complain it gets terrible gas mileage.